Innerspace Exploration Team and Fenn Enterprises have completed another round of training in the waters off of Sassnitz Germany. On this trip we worked with a small group of sonar tech trainees and divers from the World Wildlife Fund. We were still hunting for Ghost Gear but out of a smaller boat than last time in hopes of finding ways to reduce the daily cost of the survey. Marine Sonics was kind enough to loan us an Arc Explorer dual frequency sonar system and winch for this training session. The sonar system performed very well - one day in one square nautical mile of scanning we located more than sixty net, line or cable targets. The WWF divers ground truthed the sonar targets and as expected they were nets. We also saw a few old shipwrecks and a debris field from a B-17 bomber. From Germany we went on to Simrishamn Sweden where we met with people from Marelitt Baltic another group heavily involved in cleaning up the Baltic Sea. 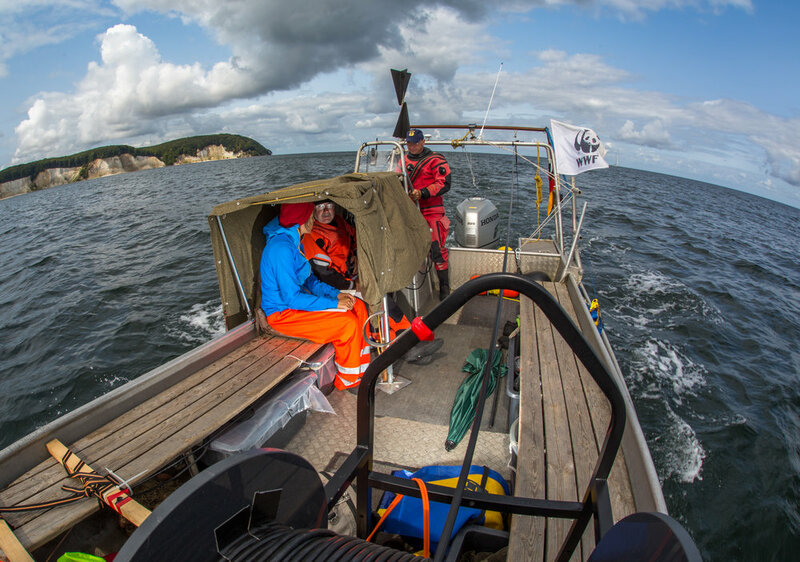 Marelitt Baltic created a sonar test bed using authentic ghost nets that they had earlier recovered. Each net was 400 meters long and made up of four different types of gill nets with a car tire at each transition of net type. One net placed in 30 meters of water depth on a rocky bottom and the other in about 42 meters on a flat sand/mud bottom. The purpose of the test was to determine if sonar could resolve gill nets. We used the Marine Sonics Arc Explorer system which outperformed other systems and resulted in the best data quality. After the nets were resolved to everyone’s satisfaction we spent one day having a round table discussion about how Sweden might move forward with their Derelict Gear Recovery Program. The discussion included people from Simrishamn local government, Swedish Coastguard, local fisheries, engineering firms, Marelitt Baltic, WWF Germany, and sonar operators from Sweden and the USA. On May 27, 2018 Mr. Lee Elliot's aircraft went down near Bainbridge Island Washington. 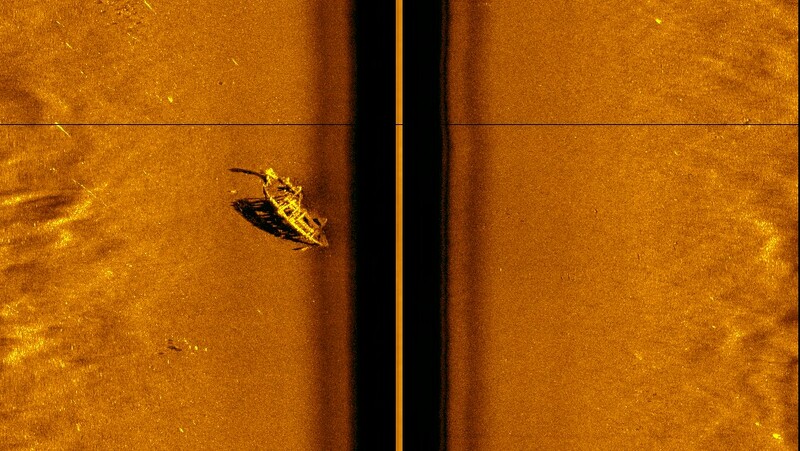 On June 14 sonar technicians, Crayton Fenn and Bryan Delong of Innerspace Exploration Team located the downed Cessna 150 with sidescan sonar (images below). Innerspace has been assisting local law enforcement agencies with drowning victim recoveries for over 25 years. On June 20 divers, Alex Adolfi, Bert Brezicha, Andrea Petersen and George Potts, from Global Underwater Explorers (GUE Seattle) dropped down to the aircraft and searched the interior and surrounding area for the missing man. Unfortunately the pilot was not found in the aircraft or anywhere in the near vicinity. Give us strength... 364 up, 250 left to go. KOMO was onboard - check out the video! 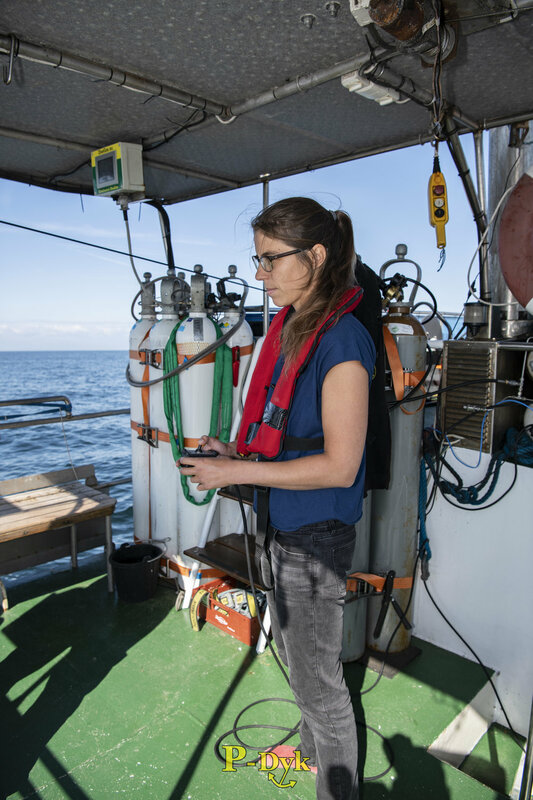 Innerspace Exploration Team and Fenn Enterprises have just returned from Germany where we provided side scan sonar training dealing specifically with detection of nets in the Baltic. 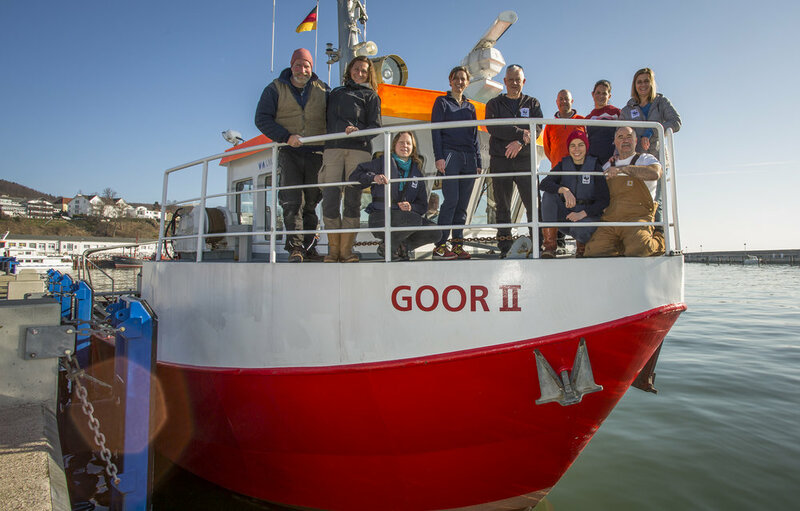 The participants were from World Widlife Fund, Marelitt Baltic and the Global Ghost Gear Initiative from Germany, Denmark, Netherlands, Poland, Sweden, Estonia, Peru, and Hong Kong. These countries are all in the beginning phases of implementing derelict gear programs and the purpose or our trip was to demonstrate our proven sonar techniques, present on the success of the Derelict Gear program in the Salish Sea, and provide hands-on training to scientists from various disciplines, some of whom already had some side scan experience and their own sonar equipment. We spent four days on the water in all kinds of sea states demonstrating proper deployment and survey techniques. A very important component to our training is post processing where the participants learn how to interpret the data. We spent about 2.5 hours on post processing each evening. We also performed ground-truthing with divers to verify targets and also setup a test bed where we set a known target (chain/net) so everyone could experience detection of derelict gear. For this project Marine Sonic provided a demo ARC Chirp side scan system. 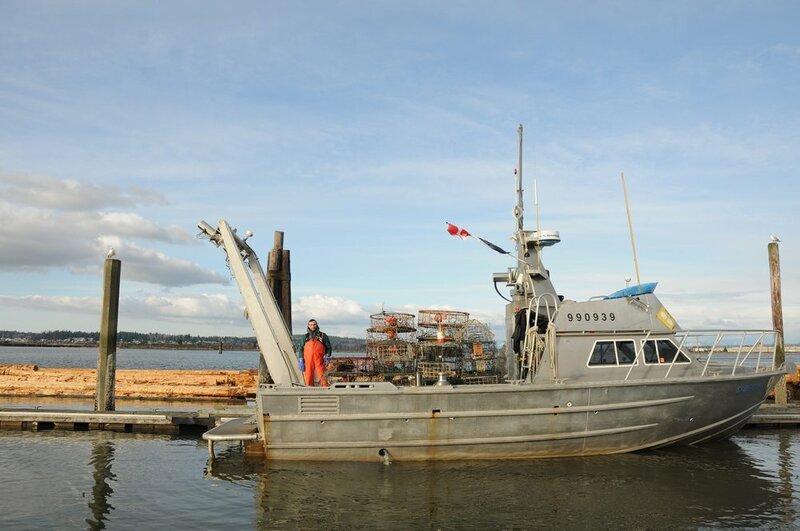 This is an upgraded version of the sonar we used in the Salish Sea. Our training was a huge success. 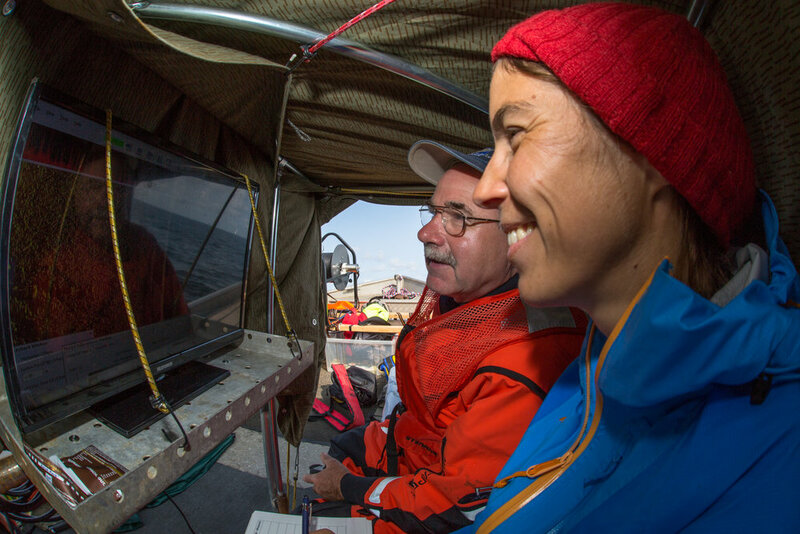 Discussions afterwards revealed that even more hands-on training will be needed for the teams who will be responsible for performing the sonar work and we will be scheduling a return visit for this purpose. Innerspace Exploration Team and Fenn Enterprises are taking the show on the road! We will be spending 5 days on the water training our derelict gear sidescan sonar techniques to members of Marelitt Baltic and World Wildlife Fund from Germany, Sweden, Estonia, Poland, Denmark, Peru, and Hong Kong. 225 pots recovered - see how it's done in the video below. Location and removal of lost or abandoned fishing gear and related debris from the waters of the Northwest Straits. We have located and recovered over 1000 crab pots to date. Recently we have expanded this project to the waters of Humboldt and Monterey counties in California and also assisted in training U.S. Navy divers in net removal techniques. For more information see the Northwest Straits Foundation Derelict Gear site.